Showcasing the rich natural beauty of India, hill stations near Chennai have something for everyone, from tranquil lush forests with beautiful lakes that sooth your soul to massive tea and coffee plantations that are truly mesmerizing, a traveler is assured of a great time in these sixteen hill stations near Chennai that are a perfect refuge from the burning costal plains. 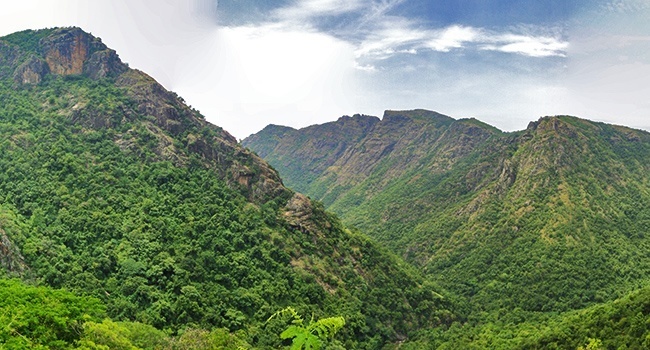 Extensions of Eastern Ghats around 210 kilometres from Chennai, Javadi hills are adorned with beautiful bluish-grey granite at an elevation of 1100 - 1150 metres. 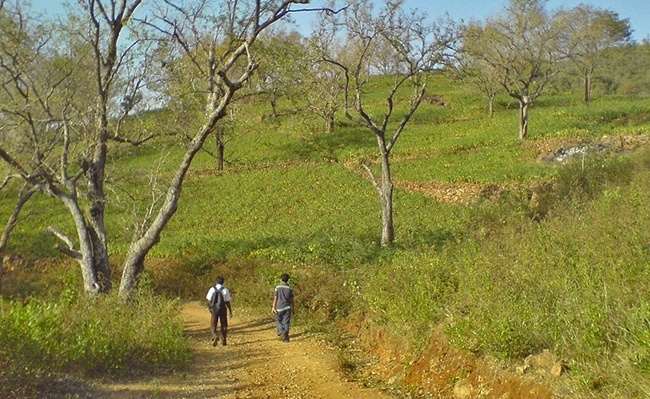 The hills are inhabited by tribal people who practice the cultivation of tamarind, jackfruit, mango, and many other fruits and medicinal plants. One of the best things about the Javadi Hills, the hill station is that it's not very crowded like others and offers the same beautiful trek trails, breathtaking waterfalls and even many camping sites that are truly a different experience. The thick heavy forests are home to a variety of flora and fauna including some endangered and rare ones which makes it's a perfect place for any wildlife lover. If that's not enough the town also has a full-fledged observatory where you can observe the incomprehensible beauty of the sky. An amalgamation of 14 astounding villages surrounded by 4 majestic mountains, Yelagiri is a hilly region surrounded by endless green valleys, orchards and Rose gardens at an altitude of 3500 feet that is inhabited by tribal practicing agriculture, horticulture, and forestry. The town is particularly famous for paragliding and trekking with many trails through thick reserved forests, one of which is the Swamimalai hill at a height of 4338 meters, offering a spectacular view to the trekkers. The town also has smaller peaks if you're a beginner. One can also visit the picturesque man-made Punganur Lake, Velavan temple, Jalagampari waterfalls, and Nature Park. The town also hosts many festivals including the Yelagiri summer festival with thousands of people coming to witness various cultural programs and shows. 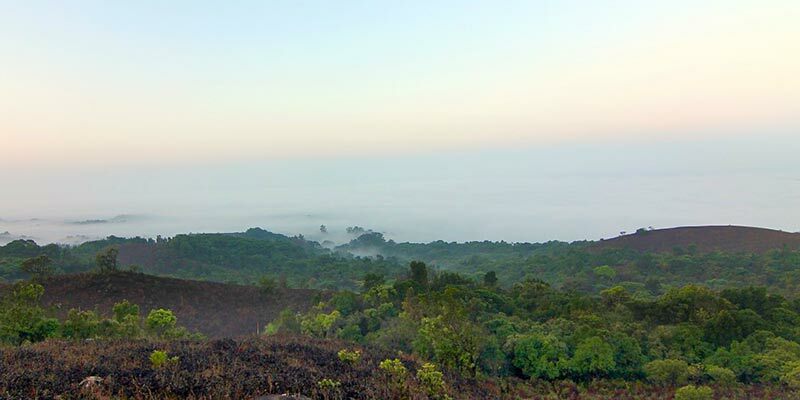 Located amidst the clouds at an astonishing height of 4312 meters Horsley hills is a series of hills in Andhra Pradesh confounded by heavy foliage and a cooler environment which nurtures the rich biodiversity present here. The hills exhibit dense eucalyptus and many exotic trees. Species of coffee, gulmohar, silver oak, jacaranda, and many other flowering plants can be commonly seen. The forest has a lot to offer in terms of fauna too, from beautiful sambhars to fierce panthers you can find it all here. if you're into birdwatching this place welcomes many migratory birds such as the red-throated flycatcher, Montagu's harrier and many more! Horsley Hills is the perfect getaway from your monotonous life. You can engage in adventurous activities such as trekking, zorbing and even archeryand if you just want to rejuvenate yourself have a chilling holiday the scenic beauty of these hills will surely please your soul. A major range of hills situated in the Easter Ghats separating the Kaveri river basin from the Palar river basin, Kalrayan Hills is a perfect hill station with lush green forests, eye-catching waterfalls, and soul-soothing atmosphere at an elevation of 2000 - 3000 feet at a distance of around 335 kilometres from Chennai. The town is a perfect place for adventurers and trekkers as the hills offer many trails through the thick forests amidst the temperate climate and peaceful atmosphere. Popular tourist attractions are the Periyar falls, Megam falls, Venkatramana temple, the 1500 year old Nagamman temple and many pictures worthy dams. 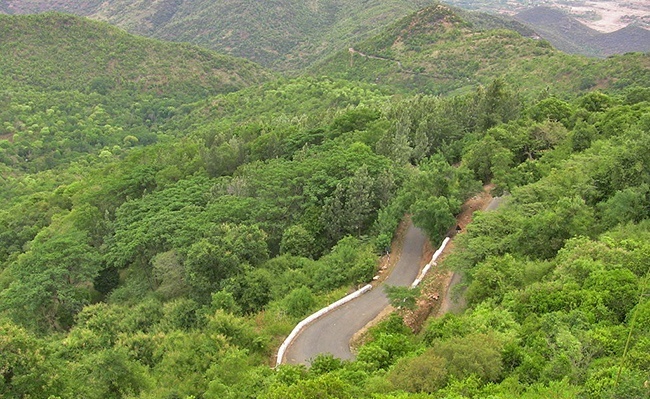 At a distance of 349 kilometres from Chennai, Yercaud is one the most picturesque hill stations in Salem district of Tamil Nadu at an elevation 1515 meters in the beautiful Shevaroy hills. The cool and serene environment here makes it perfect for a summer getaway. The town is particularly famous for its orange groves, coffee, fruit, and spice plantations amidst thick forests and also has an alluring Boathouse in the Yercaud Lake which is surrounded by endless green and forests which are home to a variety of animals like bison, deers and many more. The best places to visit are Emerald Lake, Shevaroy temple, Bear's point, botanical garden and Killiyur falls. 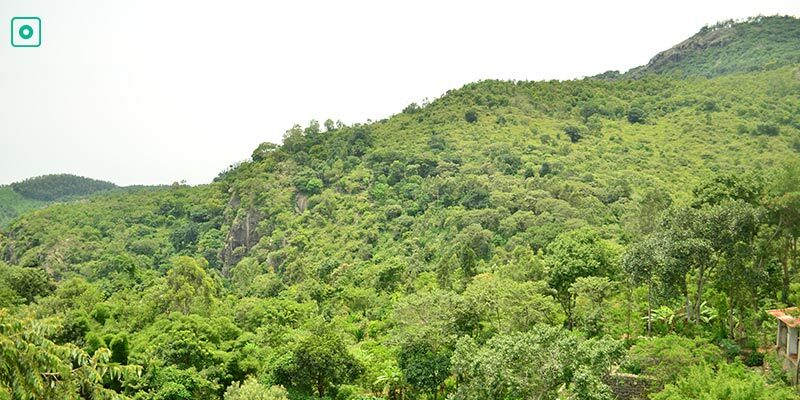 One can also indulge in various adventurous activities such as trekking and trek to the highest point in Yercaud, Servarayan temples located at a height of 5326 feet. 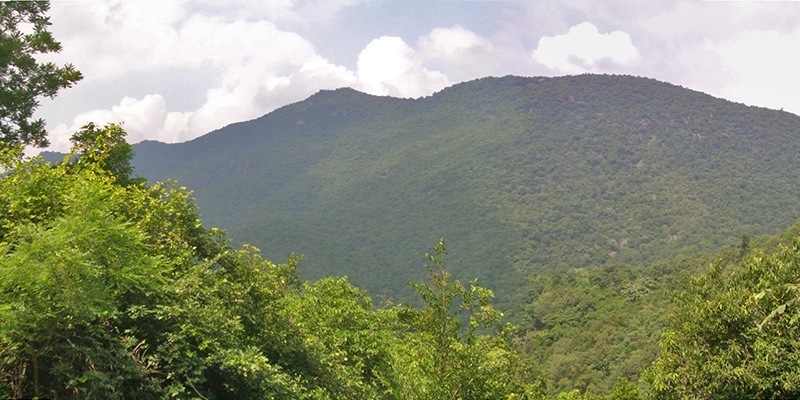 As the name suggests ‘Pachai’ meaning green and ‘Malai’ which means a ‘mountain’, is a range of green mountains 80 kilometres from Tiruchirapalli. 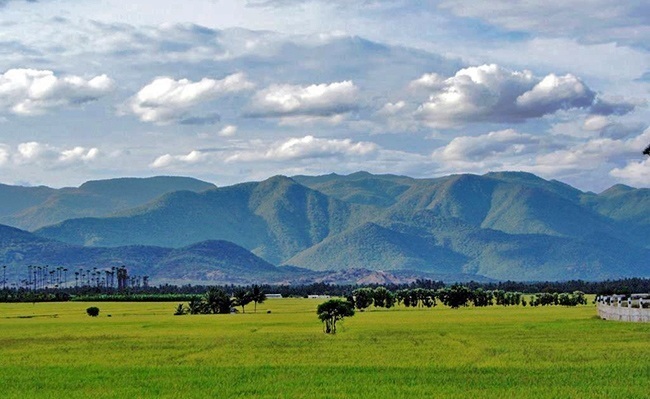 With an altitude between 500-1000 meters, PachaMalai Hills serves as an asylum for tribal population of this arena unique with lifestyle and culture. It has small villlages here- Vannadu, Thenparanadu, Aathi Nadu and Kombainadu. The hill range has waterfalls like MangalamAruvi, Koraiyar falls and MayilUthu falls, as pretty as picture. One can have a thrilling experience as there are many activities that can be done including trekking, wild trip, and visit to pleasing river streams, temple and falls. It can be major tourist destination as it has everything one is looking for a getaway. At a distance of 395 kilometres from Chennai, Kolli Hills is a relatively small mountain range in Tamil Nadu at an elevation of 1000 - 1300 metres. One of the best things about the hills is that they are relatively untouched by tourism and still retain their rich natural beauty. Trekking is the most sought after activity in the town with many trails that are truly a great experience. One of the popular trails is to the AgayaGangai waterfalls. The town also has 3 reserved forest areas which are home to a variety of wildlife such as sloth bears, pythons and many endangered species of birds. Some other popular tourist attractions are Arapaleeswarar Temple, Selur viewpoint, Siddhar Caves and Masila falls. Located 25 kilometres from Dindigul District, Sirumalai is a dense forest region that holds visitors for its several natural attractions. It has moderate climate throughout the year supporting diversifies flora and fauna. It also offers panoramic view of Dindigul and Chinnamali town from SelviKoil Point. One can start its enjoyable weekend with Silver hills that is the tallest hill located in Agastya Puram moving to the famous hill from where the lord Hunuman went to bring herbs to cure laxman’s wound. It also has beguiling Sirumalai lake, created artificially in 2010 and Saathiyar Basin. Also, those theists out there Sirumalai has Vellimalai temple and AnnaiVelankanni Church for you. Not only this, it has a stopover, an Observation tower and Last but not the least is Khandige Estate, spread across 1000 acres. A heavenly Hill town nested amidst the slopes of the Palani Hills, Kodaikanal is one of the finest hill stations in Tamil Nadu at a distance of around 528 kilometres from Chennai. The town is at an elevation of around 2133 meters and is commonly known as the ' Princess of Hill Stations'. Kodaikanal is also nor heavily commercialized like Ooty which makes it less crowded and more enjoyable, The town is covered by Lush green evergreen forests with beautiful small water bodies and has a lot of tourist attractions including the star-shaped man-made Kodaikanal lake where you can boat, The endless pine Forest, the Pillar rocks, Mannavanur lake, Bryant Park and many more. The town also offers many trek trails where you can truly experience the flora and fauna of this beautiful town. Famous for its flutter tales, Palani Hills hosts rarest types of butterflies, birds, amphibians and plants. It is heaven on earth because of its greenery, hills and forest life. Located under the state Tamil Nadu, has many attractions for tourists right from Ayakudi town to Palani temples. Palani, oldest hill range of Prehistoric times, is considered as the home of god Kartikeya. It has hill temple positioned on hills and is dedicated to God Murugan. Don’t miss the best thing of towns in Palani is their productive items that are exported to the different nations. Also, you must attain the two streams of Palani hills- Vaigai and Amaravati as it adds colours to the beauty of hill station. The third largest hill station in the Nilgiri hills, Kotagiri is one of the best hill towns in the Nilgiris and is believed to have the second best climate in the entire world! The best thing about the hill station is that it's not extensively commercialized and overcrowded like Ooty but still offers the same heavenly experience. From refreshing tea and coffee estates to breathtaking waterfalls the town has it all. Some popular tourist attractions are the tea gardens, the Longwood forest which resides around 20 bison, the Nehru Park which has a huge complex with a temple, St. Catherine waterfalls, The Rangaswamy peak and plenty of big European styled bungalows that have been converted to homestays. 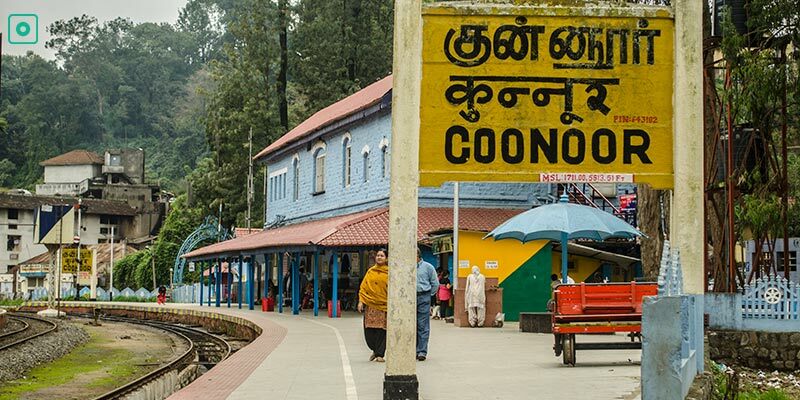 Famous for its sprawling tea estates amidst the high blue mountains of Nilgiri, Coonoor is one of the best hill stations to visit in Tamil Nadu at an elevation of 6000 feet above sea level. 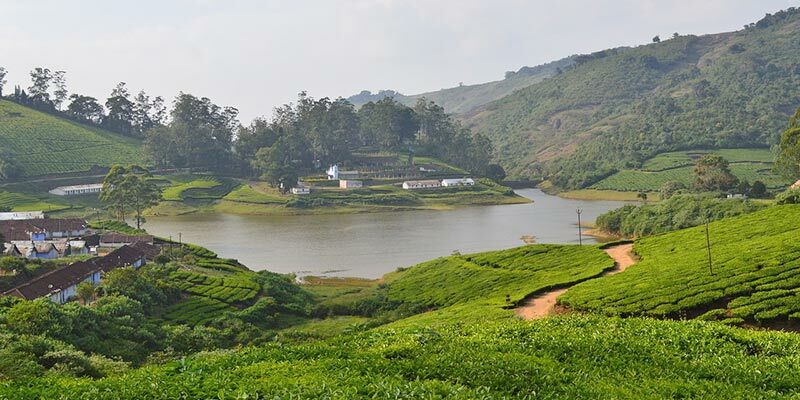 The town is famous for its variety of wildflowers and birds and the production of the Nilgiri tea. The major tourist attraction is the Nilgiri mountain railway also known as the toy train and is one of the UNESCO World Heritage sites which is truly an unforgettable experience. The town also offers a variety of adventurous trek trails including the famous lamb's rock which provides with a spectacular view amidst dense forests blessed with a plethora of birds and wildlife. Coonoor also hosts a major fruit and vegetable festival and a tea festival both of which draw a major crowd from all over the state. Nested amidst lush greens of the Western Ghats, Meghamali is a small but exquisite hill town that offers pleasant weather, beautiful waterfalls, rich flora and fauna, and endless sprawling coffee and tea estates all over the town. The tea estates and the dams are the most popular attractions but there's a lot more to this little heaven, the forests are thick and are home to many rare and endangered species of animals, the town also houses the great Indian Hornbill and many other endangered birds. The place is full of nature and love and once you come here you won't feel like going back. At a distance of 556 kilometres from Chennai, Ooty is a heavenly hill town also known as the ' Queen of Hill Stations ' adorned with picturesque Nilgiri blue mountains at an elevation of 2240 metres. The pleasant weather and stunning environment here makes it one of the best to visit in Tamil Nadu. 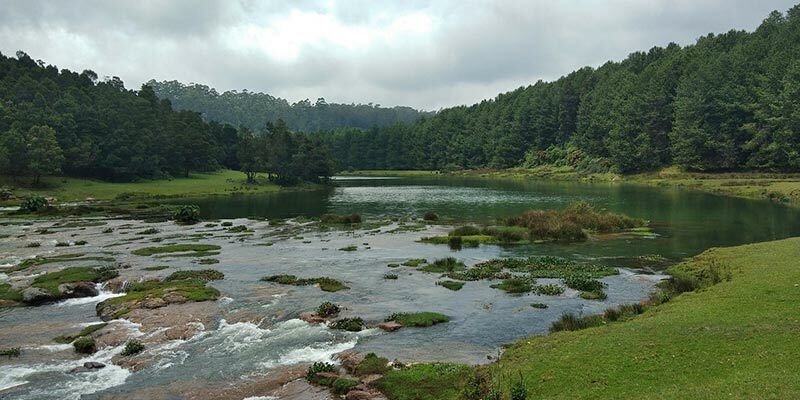 Harbouring some of the most beautiful gardens and lakes Ooty has a lot to offer to the travelers. One should definitely visit the quiet and serene KamarajSagar dam, the Ooty lake, the vast meadow of Wenlock Downs, Botanical garden established in the 19th century, the rose garden with around 2000 varieties of roses, the dolphin's nose viewpoint and last but not the least you can trek up to the Doddabetta peak which is at an altitude of 8606 feet. At a distance of 587 kilometres from Chennai and a height of 1525 meters, Coorg also known as the 'Scotland of India ' is one of the most famous destinations of Karnataka tourism. The town is the largest producer of coffee in India and receives a considerable amount of rainfall. With misty hills covered with lush greens, a plethora of flora and fauna along with the tranquil and soothing weather makes Coorg one of the most sought after tourist destinations. The town has three wildlife sanctuaries which are home to majestic animals such as tigers and Asiatic elephants, endless sprawling estates of coffee and other fruits, beautiful waterfalls and last but not the least a number of treks that will instill a feeling of adventure in you. If this is not enough one can also ride elephants and go rafting in the Barapole River. Home to a number of coffee and tea plantations surrounded by thick foliage on the Annamalai Hill range of the Western Ghats, Valaparai is a cute little hill station in Coimbatore district of Tamil Nadu and is around 600 kilometres from Chennai. 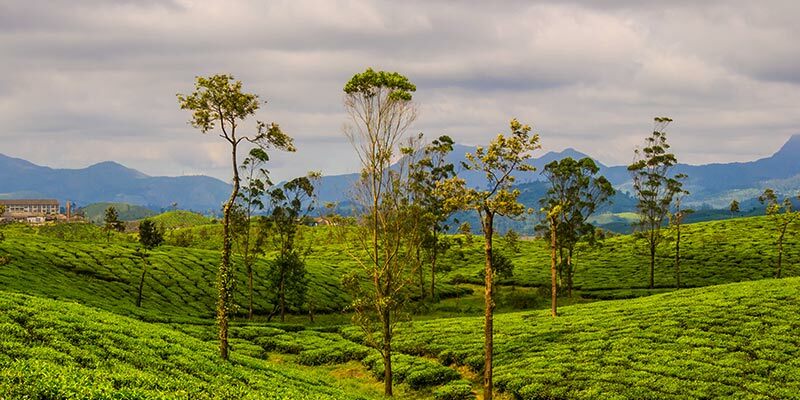 Valparai boasts of rich biological diversity with the thick lush green forest that is home to a variety of animals including the majestic Asiatic elephant, leopards, and the indigenous Nilgiri Thar, one can visit the Indira Gandhi wildlife sanctuary to experience the wildlife up close. The sanctuary is also home to a variety of birds both migratory and indigenous including Hornbills that make it a bird-watchers paradise. Other attractions include the Balaji temple, Aliyar dam and Nirar dam. One can also indulge in trekking and visit the coffee estates. Q1. What is the best time to visit these hill stations for trekking? If you're a total stranger with the place and interested in trekking, summer is the best time to visit these hill stations. Monsoon is the only time you should avoid these hill stations for trekking and hiking. Q2. How are the mobile networks in this destinations? Mobile networks are available in most of the main towns of these hill stations. Most hotels and resorts offer wi-fi services. Big towns like Ooty and Kodaikanal have good cellular services including 4G. You can check more with your accommadation. Q3. How can I go to Kodaikanal from Chennai? There direct trains from Chennai to Kodaikanal. The time taken by these trains to reach Kodaikanal from Chennai is 7-10 hours. Overnight buses are another very convinient way to travel to Kodaikanal. Q4. Which is coolest Hill Staion in Tamil Nadu? 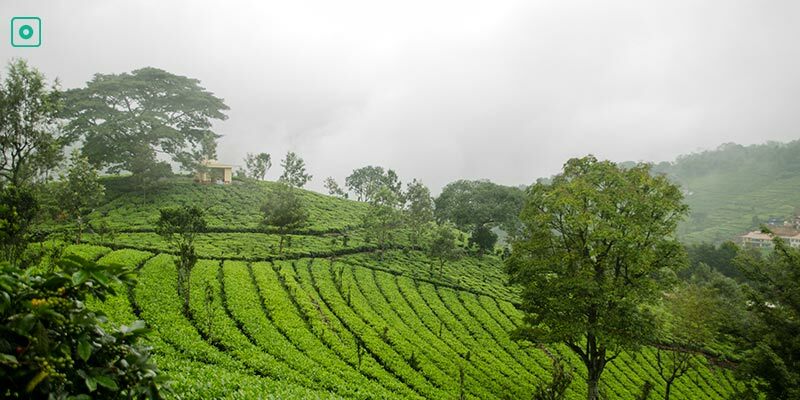 Ooty is the coolest hill station not only in Tamil Nadu but most of South India. Between November to February the temperature can go as low as 5 degree Celsius.